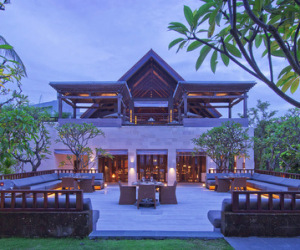 To stay at the Tugu hotels is an experience you will never forget. Tugu, in Indonesian Malay language, means ‘monument’. Whereas the first Tugu in East Java received its name for its location facing the central monument in the downtown colonial-era Malang in East Java, now the Tugu Bali and Lombok both stand as monuments of forgotten art, culture and romance of the thousand-years-old Indonesian archipelago. This tour reflects the strong cultures and traditions of each island, a walk through history, with never ending surprises. You can start the day with yoga and then enjoy your breakfast. In the early afternoon we drive up to the mountain area of Bedugul to visit Lake Bratan, a crater that lies serenely in the midst of an elongated valley which was formed centuries ago. 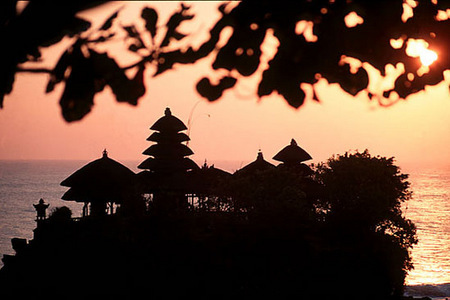 A small temple called Pura Ulun Danu Bratan to honour the goddess of the lake can be seen on the lake promontory. 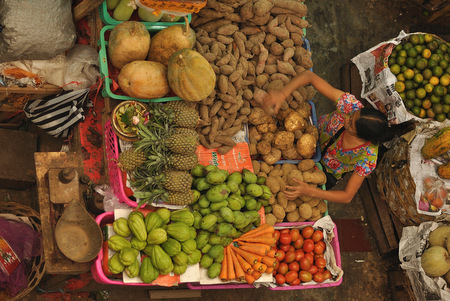 Stroll through Candi Kuning market, where local fruits, vegetable and flowers are sold. Lunch will be provided at a local restaurant at Saranam Eco Resort . Your last stop will be Tanah Lot temple, one of the holiest temples in Bali which is built atop a huge rock and surrounded by the sea. Enjoy the wonderful sunset (subject to weather conditions) when the golden red sky frames the temple roof and the waves crash into the rocks. 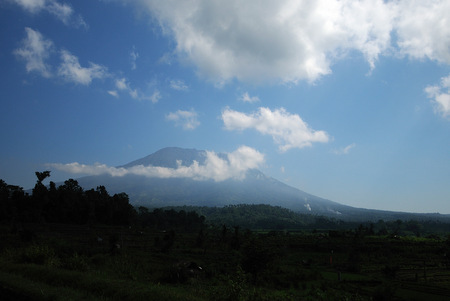 Drive to Kintamani where you can enjoy a view over the caldera lake, Danau Batur. Driving down, enter Ubud, the cultural heart of Bali with many fine art galleries, and a home to scores of local and foreign artists. 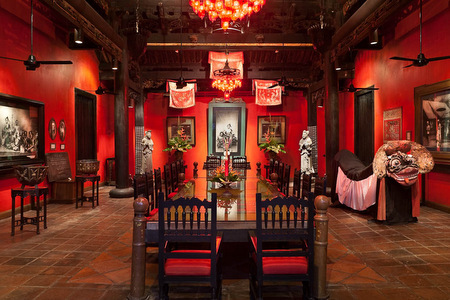 The Agung Rai Museum of Art has an extensive collection of paintings by Balinese, Indonesian and foreign artists in classic Balinese and contemporary styles. Afterwards, you can test your bargaining skills at Ubud art market prior to a visit to Puri Saren Agung whose royal family ruled Ubud from the late 1800’s until 1917. Lunch will be at a local restaurant. Afterwards you will return to the hotel. Drive to Serangan to catch the fast boat Blue Water Safaris to Lombok (avoiding a flight). It departs from Serangan, Bali for the 2.5 hours trip to Lombok (depends on the weather conditions). Arriving at Teluk Kode you will be met by our guide and transfer to the hotel. After check in, the rest of the day is free. The cooking class in WaroengTugu is an fantastic experience combining the exotic richness of Indonesian dining and culture, at the same time. The class begins with a visit to a traditional market where you will see the daily Lombok way of living. Pick the recipes you favour most and finish with a waroeng lunch/ dinner experience, eating with your bare hands surrounded by oil lamp, stone grinders and traditional steamers on wood fire terracotta stoves in the open kitchen. Morning is free at leisure until the check-out time. 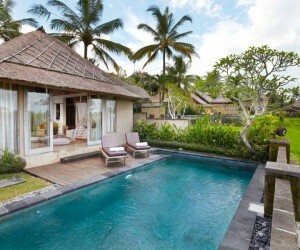 Transfer to the airport, for your onward flight to Bali. This itinerary costs from £1015 per person B&B based on 2 sharing and including all private transfers, one-way speedboat to Lombok, one-way flight from Lombok to Bali, all entrance fees, donations. 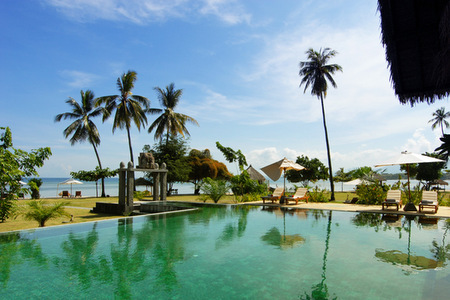 This Package is not valid during peak season period from December 20, 2014 – January 05, 2015, with minimum 4 nights stay required and there is no arrival and departure on December 31 and January 01.